Technophobe Grey Trace (Logan Marshall-Green) has his world turned upside down when the self-driven car he and his wife Asha (Melanie Vallejo) are in crashes. They are cut out of the wreck by a group of men they believe to be rescue workers, only for Grey to have to watch them kill Asha and leave him paralysed. Three months later Grey is being cared for by his mother and is confined to a wheelchair. He agrees to undergo risky surgery by tech genius Eron Keen (Harrison Gilbertson) who implants a chip known as STEM in him, giving the ability to walk again. What Grey is unaware of is that STEM has its own consciousness and his new lease of life takes him on journey to avenge the death of his wife. There has been a lot of fanfare around Upgrade ahead of the sneak peek screening at this year’s Arrow Video FrightFest. Written and directed by Leigh Whannell (Insidious, Saw) the film is set in the near future where technology dominates everyday life. At this point in time that doesn’t seem like an unrealistic future given that a large number of the population are hooked on their smart phones, laptops and the internet. Visually the film is absolutely stunning, from the breath-taking sweeping landscapes of the city through to inventive and thrilling fight sequences. Logan Marshall-Green (Prometheus) gives a career-best performance as Grey. He’s charismatic and really comes to life in the more comedic scenes of the film. When Grey first discovers that STEM is able to take over his body with his permission, and talk to him, he watches with amazement as his body carries out some seriously quick and impressive moves in order to combat an enemy. The camera work and effects in these sequences are first class and quite rightly they got cheers and applause from the audience. Grey is told by Eron that he has to keep STEM a secret and still live publicly in his wheelchair while they test the technology out. This proves to be difficult as Grey’s thirst for revenge is stronger than obeying Eron. To complicate things further Detective Cortez (Betty Gabriel), who is investigating Asha’s murder, starts to suspect that Grey may be involved in the murders taking place throughout the city when he is frequently spotted in the same location. 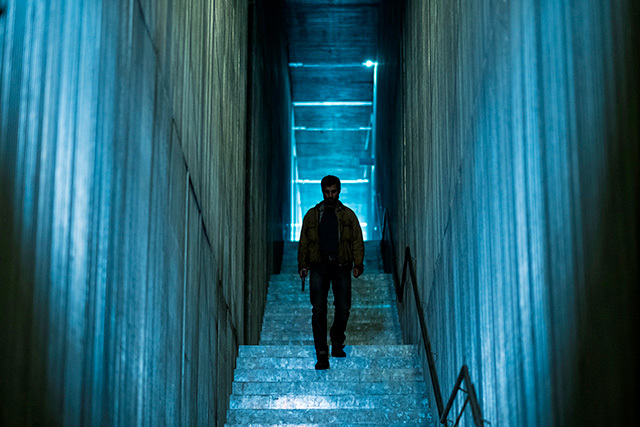 While Upgrade is a thrilling visual feast, I did feel the story lacked a little in the second half. Once the initial rush of the fight sequences passes, it starts to become clear that the story is a little looser than it should have been. I was completely on board with Grey’s revenge mission but the conclusion to it left me feeling a little bit cold. The film tries hard to pack a few too many reveals in to a short space of time and I was a little bit disappointed with the climax. Clearly a warning about society’s reliance on technology, there is much to admire about Upgrade. It’s stylistically incredible, Marshall-Green is a superb leading man and the violence is entertaining. I just wish the story had been a little tighter and wrapped up in a stronger way. I went into the film expecting to see something that was going to redefine its genre but I left thinking about how much more it could have been. 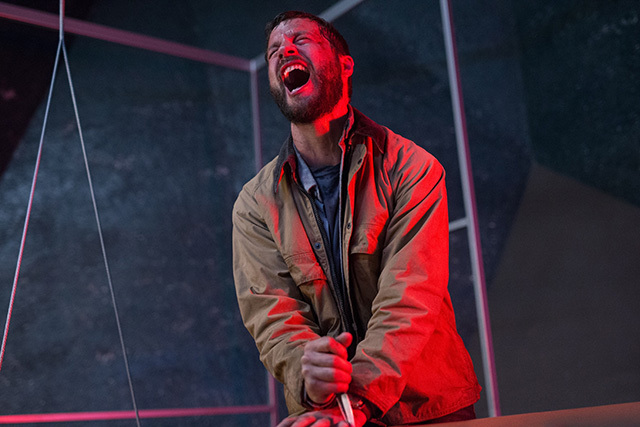 Upgrade is a thrill-ride but it didn’t leave me satisfied.